The meals are provided through End Hunger Connecticut!, a local nonprofit. If you think your family could benefit from this program, I encourage you to find more information about summer meals program here. 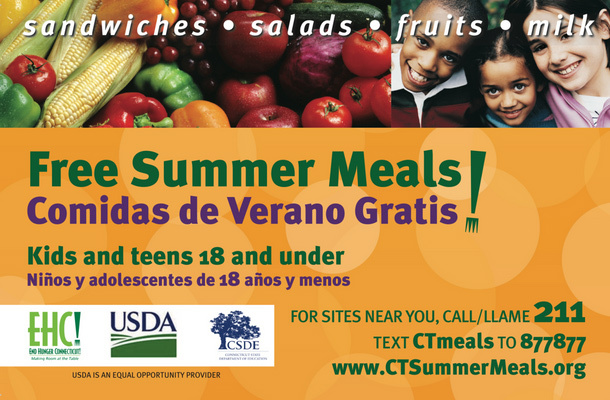 Free summer meals for kids and teens 18 years of age and under are available at sites across Connecticut through End Hunger Connecticut. Meals are served Monday-Friday. Some sites offer breakfast and lunch, others just lunch. There is no charge for any of the meals. How to Obtain Service: Go to the site; It is not necessary to pre-register; Also, you can call the program sponsor to verify times, meals served and addresses. 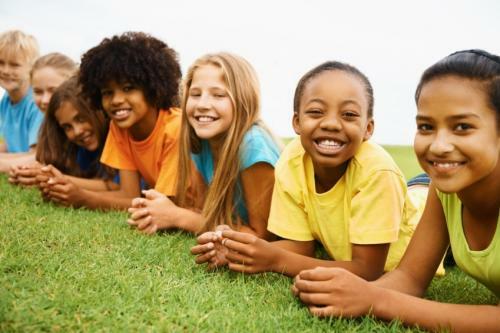 If you’d like to help let other families know about this important program, you can sign up for a "Blitz Event," community outreach events where volunteers raise awareness of summer meals. Find more information and sign up here. The more families know about summer meal sites, the more kids this program can help.